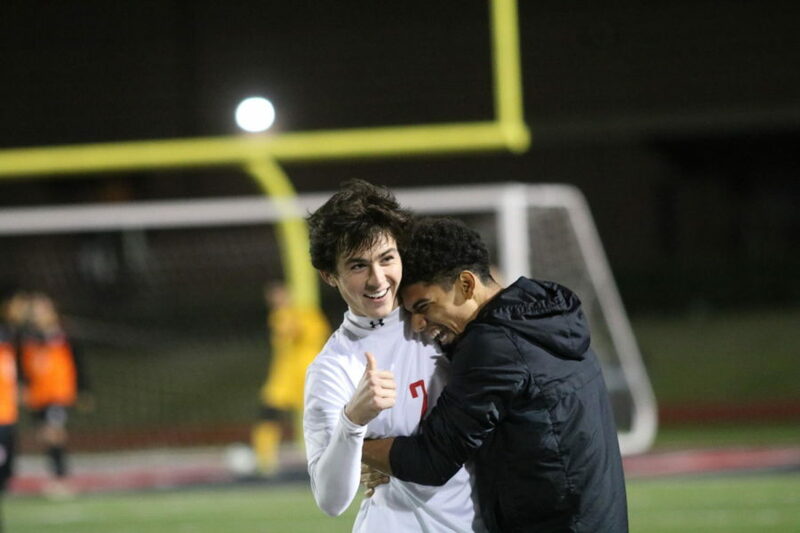 Coppell Cowboys senior forward Francisco Redondo hugs senior fullback defender Marshall Board after he makes a goal during the second half of the game on Feb. 9 at Buddy Echols Field. The Coppell Cowboys defeated the WT White Longhorns 2-1. 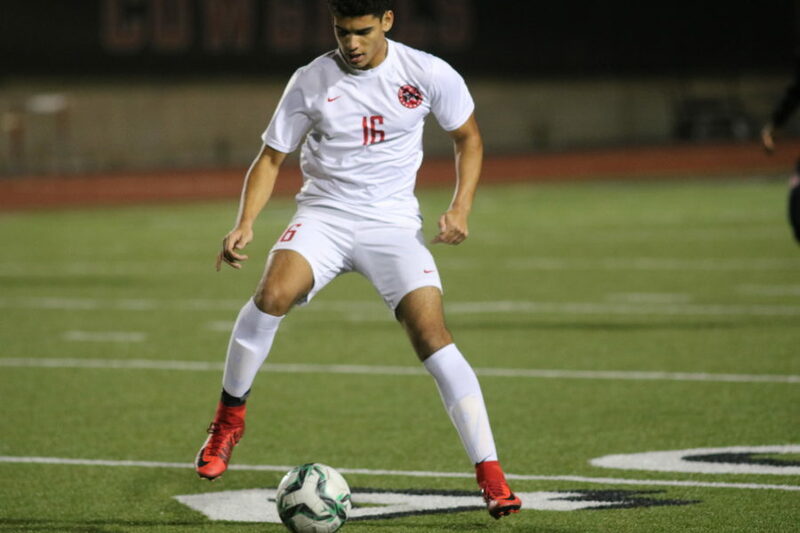 Coppell Cowboys senior forward Francisco Redondo gets ready to make a pass during the first half of the game on Feb. 9 at Buddy Echols Field. 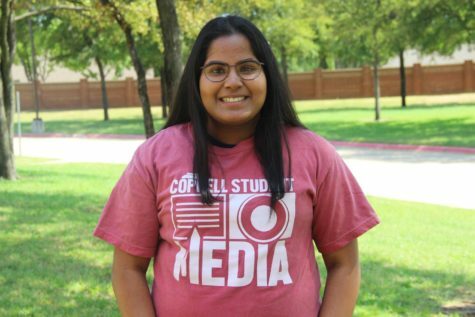 The Coppell Cowboys defeated the WT White Longhorns 2-1.